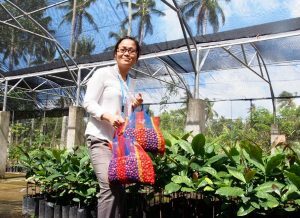 USAID ASEAN Connectivity through Trade and Investment (US-ACTI) was a five-and-a-half-year project supporting the Association of Southeast Asian Nations’ (ASEAN) economic integration efforts from 2013 through 2018. US-ACTI supported ASEAN in the areas of customs modernization, trade and investment facilitation, small and medium-sized enterprise development, clean and efficient energy, and information and communication technologies for development. Based in Jakarta, the project worked with the ASEAN Secretariat, member states, U.S. government agencies, the private sector, and other stakeholders throughout the ASEAN Economic Community. ASEAN Single Window: By establishing the ASEAN Single Window (ASW) and encouraging the development of National Single Windows (NSW) to electronically enter and exchange trade transaction information, ASEAN is accelerating cargo clearance and lowering trade costs. US-ACTI supported the technical and legal development of the ASW, along with public outreach. Trade and Investment Facilitation: By facilitating trade and investment ASEAN established a more level playing field particularly for SMEs, lowers costs, and boosts consumer confidence. US-ACTI supported standards harmonization, trade transparency, services liberalization, and investment facilitation. Small and Medium Enterprise Development: By promoting policies to make small and medium enterprises (SMEs) more competitive, ASEAN supports more inclusive economic growth. US-ACTI supported this effort by encouraging greater integration of SMEs into regional and global supply chains, providing access to information, and expanding access to finance and technology. US-ACTI’s program has a special focus on women and young entrepreneurs, and firms in Cambodia, Lao PDR, Myanmar, and Vietnam, to further bridge the development gap. This work was implemented in close collaboration with the US-ASEAN Business Council. Energy: By promoting the use of sustainable energy and energy efficient technologies, ASEAN improves the environment in the region and the wellbeing of ASEAN citizens. US-ACTI focused on implementing the ASEAN-US energy work program. Information and Communications Technology for Development: By promoting greater broadband access and implementing the Information and Communications Technology (ICT) Master Plan, ASEAN seeks to bridge the digital divide and support more equitable development. US-ACTI focused on technical and financial issues related to broadband expansion, information security, and e-commerce. To learn more about US-ACTI, contact Timothy S. Buehrer, Chief of Party, at moc.c1556034848ninah1556034848tan@r1556034848erheu1556034848bt1556034848.